The wine tricks are good! 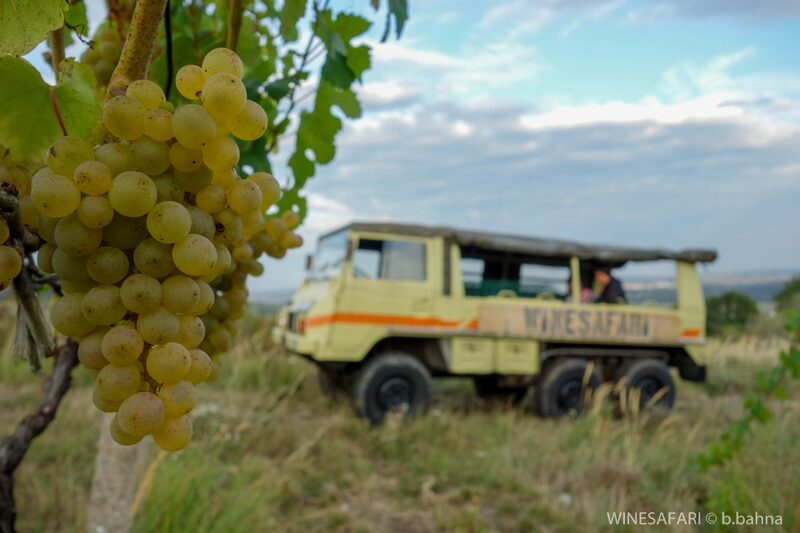 A brand new adventure on the 6-wheel Pinzgauer wagon takes you to the terraced vineyards of the Small Carpathians near Bratislava. WineSafari is a boutique offering for gourmets of nature, cultural heritage, food and wine. It’s a wine route literally: an adventure ride on an adapted 6-wheel safari vehicle. Do you enjoy whirring sounds in the engine? My engine was designed by Austrian engineers. It is gasoline, with double zenith carburetors NDIX 36 mm. I have a chassis design, and it’s also mobile and I know how to adapt to every terrain. I am proud of my independent driving system. I have Unimog portal axles, which will cope with even the most difficult obstacles. In any event, I know how to give maximum traction and especially: I have six wheels and eight seats. Your Steyer Pinzgauer – Small Carpathian Dragon.